Bonus Day! Today I had tickets to the Philadelphia Flower Show, so there were ample opportunities to photograph water, today’s theme. 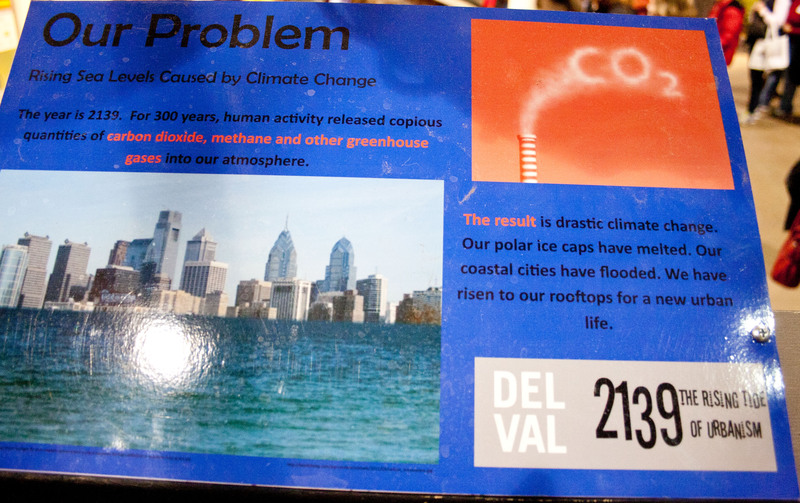 On a somewhat ominous note, one of the show displays projected what Philadelphia might look like in 2139, after global warming has really impacted the city and caused the water levels in the city to rise many feet, flooding most buildings on the first few floors. 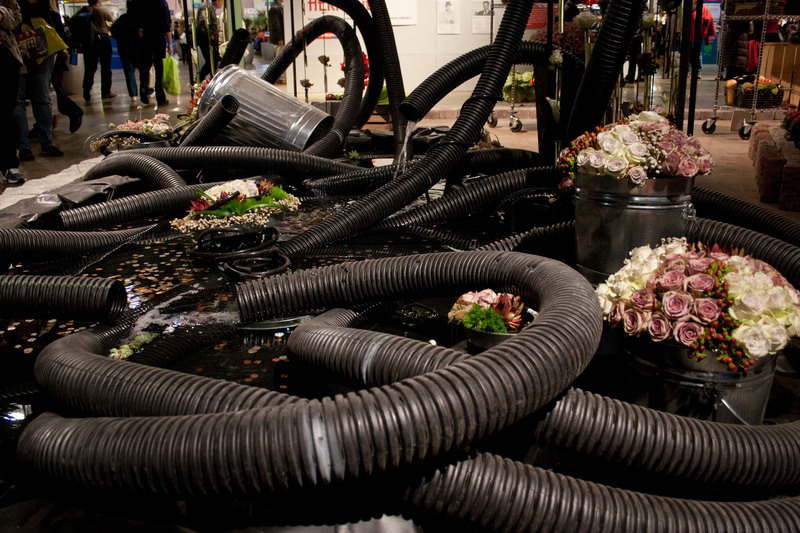 Urban dwellers at that point have adapted to rooftop patios and gardening, with floating beds of flowers and vegetables the primary method of cultivation. Water runoff from the rooftop living areas flow into the water gardens surrounding the buildings. 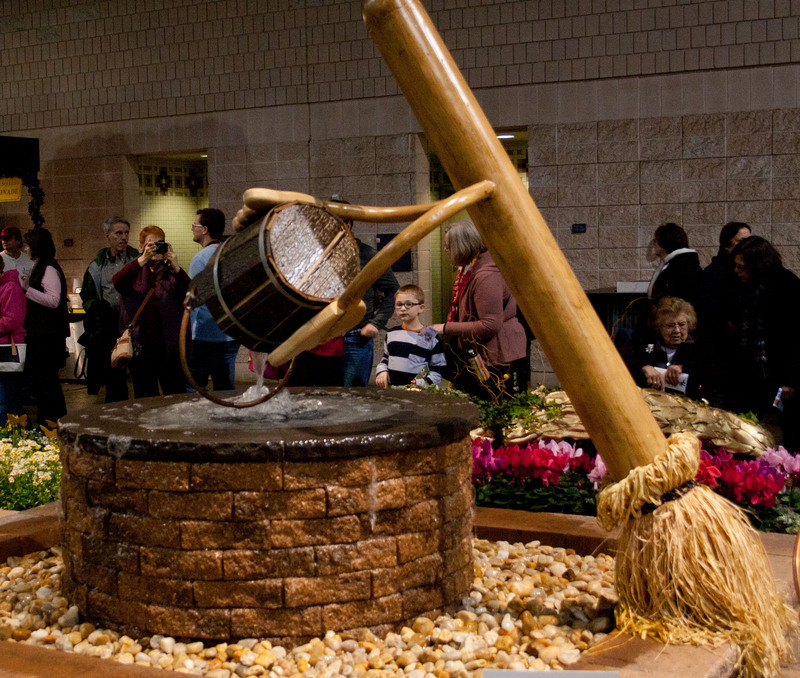 On a more whimsical note, water can be a great source of amusement, as interpreted by this display depicting Disney’s famous Sorcerer’s Apprentice scene with the never ending buckets of water filled by the out-of-control brooms. In a more ambivalent scene, water offer a great sense of relaxation, but at the same time can convey an ominous message (cue the Jaws music for the ‘gator in the lower right). 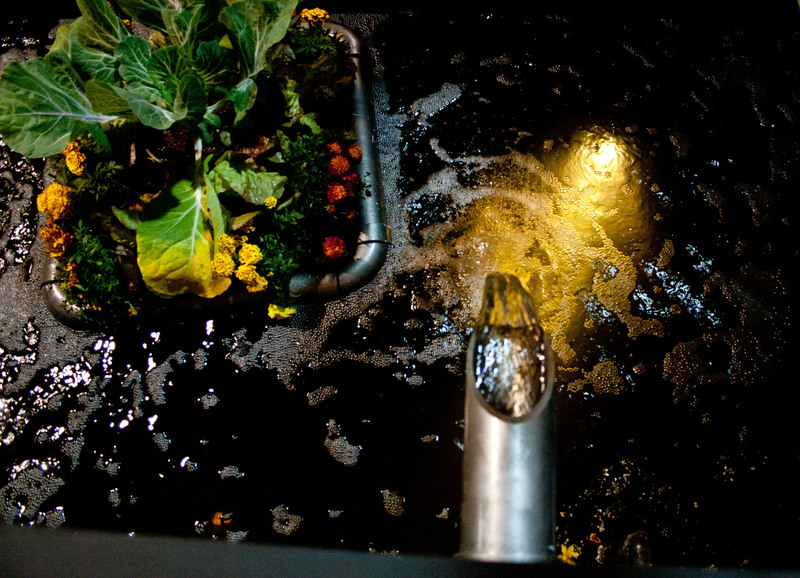 Finally, there was this completely incongruous scene of waste water flushing out from a landfill in the midst of which were bouquets of flowers. Not sure what the designer’s message was supposed to be in this one, but the water certainly was flowing! 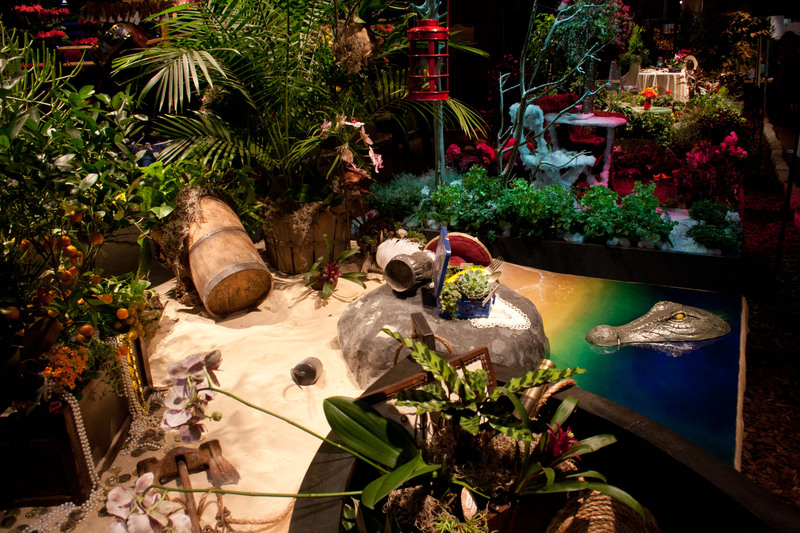 Originally from South Jersey, the Philadelphia Flower Show was a family tradition for many years. It is such a jy to see your photos. Thank you.